Well, it’s about that time of the year again, the time when one of the most progressive and innovative technology eco-systems in the industry, come together to showcase the evolution and transformation of IT in the enterprise business world. VMworld 2017 in Las Vegas is less than 20 days away and all of the IT industry’s vendors have prepared to present their vision and new technological advancements. 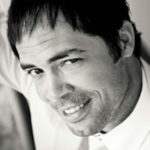 Attendees should prepare for an exhilarating week that will be full of innovative product announcements, demonstrations, and social gatherings covering every aspect of virtualization and cloud computing. This once-a-year-event will provide essential opportunities for hands-on instruction, product evaluation, networking, and brainstorming. Learn about the strategic direction of the industry, and have the opportunity to learn from the world’s top subject matter experts while still having time for some good old fashioned fun. This is a particularly important year for VMworld as we’re in the midst of another fundamental shift in the industry with enterprise organizations embracing the digital transformation of their business and the impact to their enterprise data centers and IT operations. There will be a lot of new interesting topics and modern innovations being covered, ranging from Internet of Things (IoT), Artificial Intelligence (AI), Network Function Virtualization (NFV), Cloud services, and the forever evolving world of storage and availability. I’m particularly eager to see where VMware and its partner eco-system is going to take their partnership with AWS and their new hybrid cloud offering with VMware Cloud Foundation. 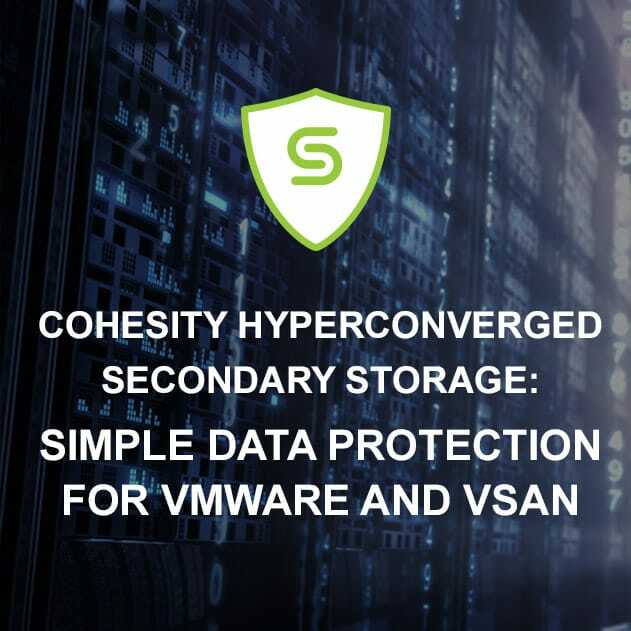 At Cohesity, we’re not short on innovation and this year we will be showcasing our technological advancements with our hyperconverged secondary storage platform. As we redefined this particular space in the storage industry, we enable enterprise organizations to safely embrace the changes of their digital transformation. 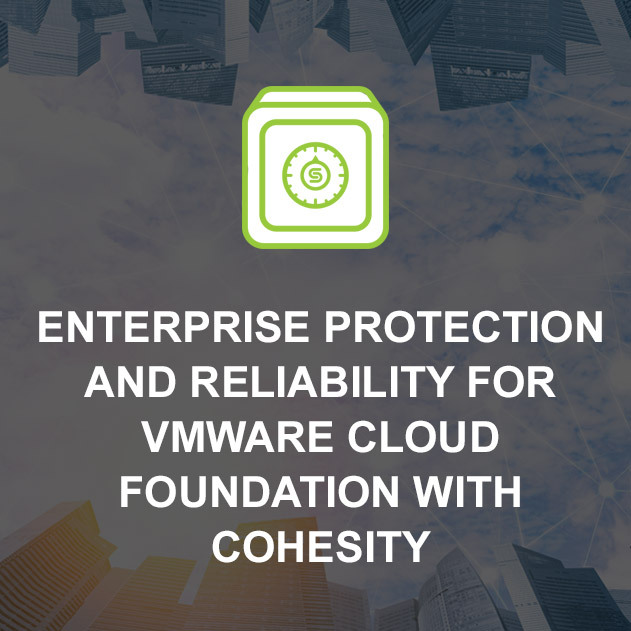 Visit Cohesity booth #310 for a chance to see product demonstrations and hear in detail about what we are working on to advance the storage industry. Learn about our accomplishments with our latest release Orion 5.0, and our vision to redefine secondary storage. We’re also embracing our partner and VMware vExperts community and we’re hosting a social event where we can all share stories and have a bit of fun. Don’t forget to register for the event which will be held at Top Golf on Monday night (RSVP Here). 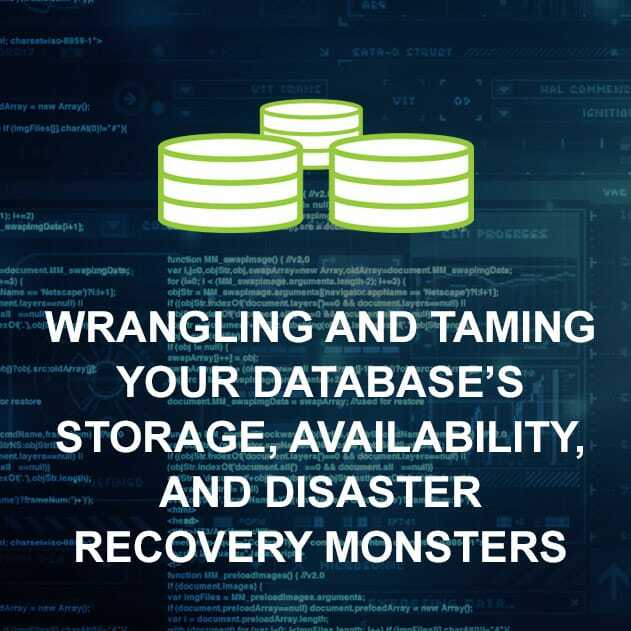 Also, don’t forget to sign up and get the Cohesity VMworld Survival kit. Trust me You’ll need it!